If you still have problems, please let us know, by sending an email to info@stilographcorsani.com. Whatsapp Support: +393280368535. Thank you! 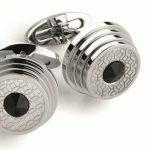 The Parola collection by Montegrappa features also a few cufflinks in the same colours of the pens reproducing the cap top of the pens. 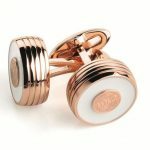 Prices from € 175,00 for the palladium trims to € 195,00 for the rose gold. 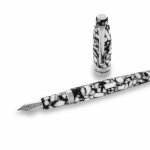 A century after it first appeared, an ageless Montegrappa classic has returned. Launched in 1915, its creators could not have known that they designed an enduring masterpiece that would even find resonance in its name: Reminiscence. This evergreen Elmo & Montegrappa writing instrument, from the early days of both the fountain pen and Montegrappa itself, re-emerged in 1983, then again in 2001. Here, in 2017, the time is right to recall the elegance of the Reminiscence family. 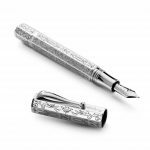 The new, celebratory edition also honours a birthday, and is so-named Reminiscence 105th Anniversary Collection to mark 105 years since the founding of Montegrappa. Remarkably, few of its aesthetic details have changed since its birth – in fact, almost none have been altered and this realisation speaks volumes about true and timeless designs. Only the dimensions are slightly larger then those of the vintage models, but the air of gracefulness remains constant. 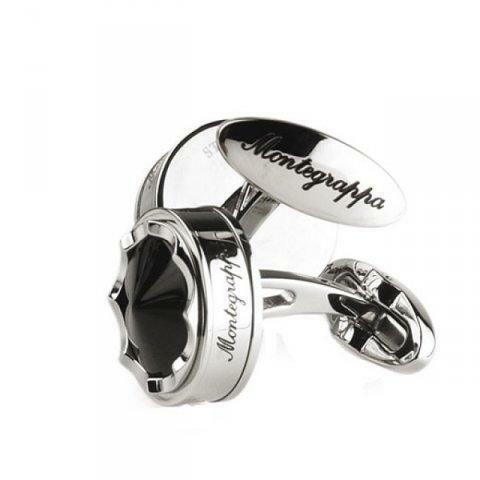 Its form is the essence of Montegrappa, characterised by the pen’s octagonal barrel and cap shape, a Montegrappa motif that continues to symbolise the brand. Made entirely in polished Sterling Silver, the Reminiscence is adorned with hand-engraved Liberty designs. 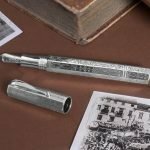 Reminiscence 105th Anniversary Pens will be offered solely as fountain pens, in a limited edition of only 105 examples, to commensurate with the years that have passed since the formation of the brand. The fountain pen is piston-fed, with 18k gold nib and ebonite feeder, available in the grades Extra Fine, Fine, Medium, Broad, Double Broad e Stub 1.1. 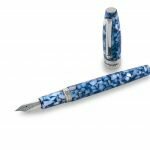 A new version for the successful Montegrappa Fortuna model. This new collection is called Mosaico because it has been made in three bright acrilic multicolor resin.Their names took inspiration by the souls of three famous cities; turquoise for Barcelona, white/black marble for Rome and blu for Marrakech. Available as fountain pen with steel nib cartridge converter, roller with cap and twist ballpoint. 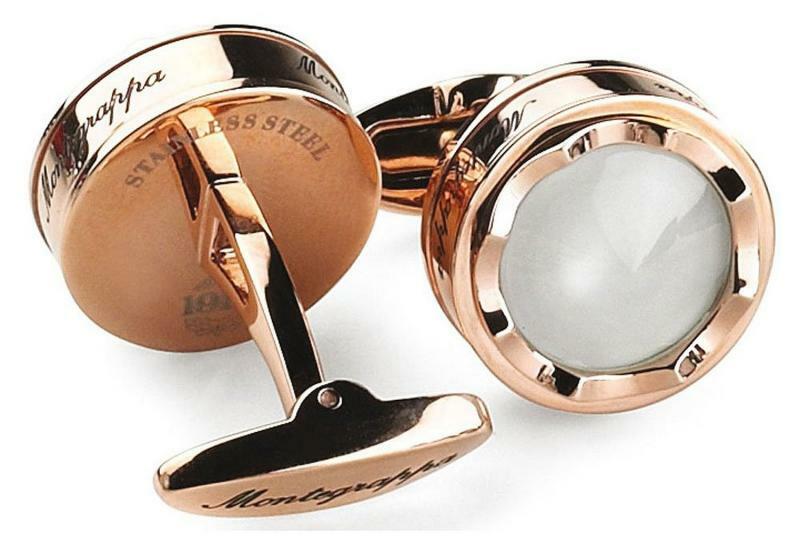 Amazing Italian touch that comes in the elegant Montegrappa box. 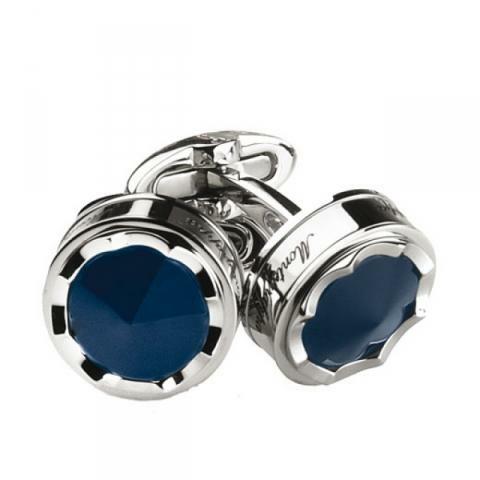 Montegrappa creates a wide range of cufflinks for all tastes. They are made matching the pen collections and took their names from them.They are made in steel, gold or rhodium plated. They are decorated with stones or lacque or enamel in different colors. 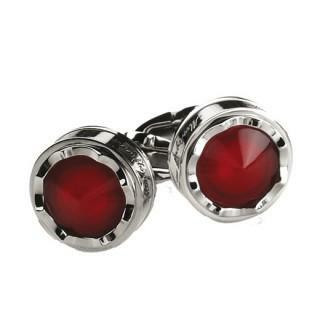 Prices starting from € 145,00 of the Piacere collection to € 210,00 of Nero Uno.